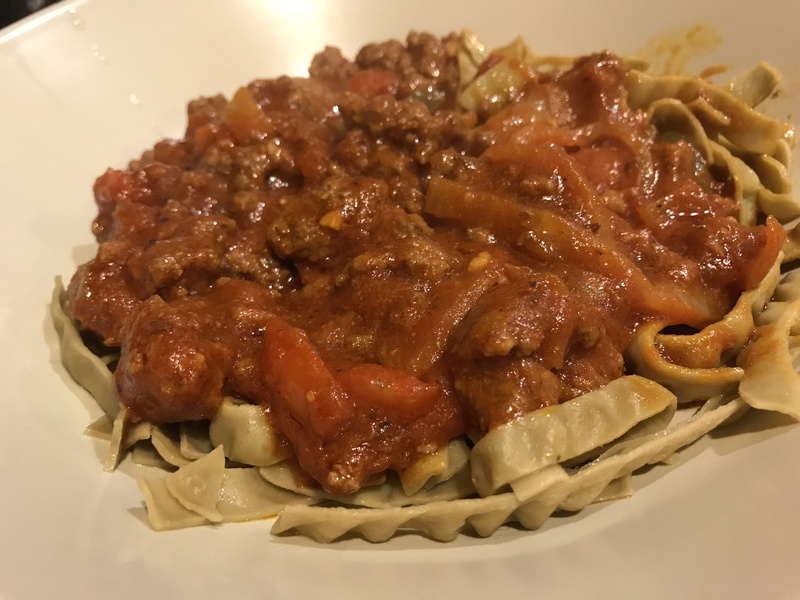 This beef goulash dish is mouth-watering good! The flavors of all the ingredients of this recipe blended together to make your taste-buds go wild. No lie! 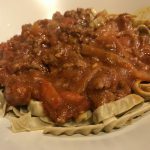 Inspired by a Hungarian Goulash recipe (made with pepper steak) and another beef goulash recipe, I believe I found a great combination for Keto dieters (since it omits potatoes and other non-Keto-friendly food ingredients). This dish was served over a store-bought pasta (by Bella Bondonza) made with 1 ingredient: organic green beans (with 11 net carbs!). But you can serve over zoodles or homemade grain-free pasta. Saute ground beef in large skillet until browned. Add garlic, green pepper and onion and cook another 5 minutes. Add tomato sauce, diced tomatoes, coconut aminos, paprika and other seasoning. Stir and cover to simmer for 1 hour. Stir on occasion and add water, if needed. Add shredded cheddar or Italian cheese mix before serving for extra fat in this dish! Where did you get the green bean noodles…looked on Amazon but no luck. I have the link in the post – it’s https://www.bellabondonza.com. They have a variety of vegetable pastas!